On April 23, 2013 +1 Records will release ...And It Shook Me, the follow-up to The Postelles' 2011 self-titled debut album which they co-produced with The Strokes' Albert Hammond, Jr. NYLON Magazine unveiled the first taste of the new album,'Running Red Lights' and Interview Magazine debuted the Music Video. Neon Gold premiered 'Pretend It's Love;' a duet by lead vocalist Daniel Balk with singer-songwriter Alex Winston. 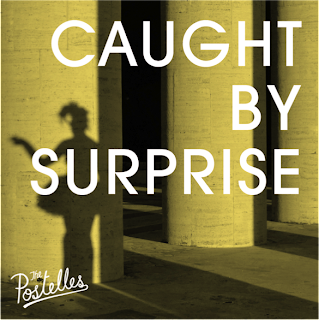 And now, 'Caught By Surprise', is released today via +1 Records. It is available for purchase through iTunes. 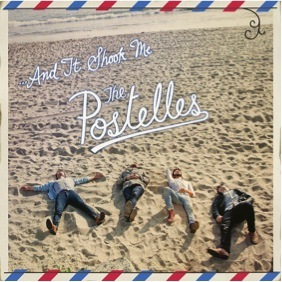 The Postelles are currently in the middle of a North American Tour with Arkells and AMBASSADORS. The tour stops through NYC tonight at Santos Party House, welcoming The Postelles for their first hometown show of 2013. Tickets available HERE. See full list of remaining tour dates below.